Right To Play is a global organization committed to Protect, educate and empower children to rise above adversity using the power of play. Established in 2000, Right To Play has pioneered a unique play-based approach to learning and development which harness that power to deliver impact in our five outcome areas: Quality Education, Gender Equality, Child Protection, Health and Well-Being and Peace. With programming in over 20 countries, Right To Play transforms the lives of more than one million children each week using play and sports, both inside and outside of the classroom. In addition to our work with children, Right To Play advocates with parents, local communities, and governments to advance the fundamental rights of all children. Right To Play is headquartered in Toronto, Canada and has operations in North America, Europe, the Middle East, Africa and Asia. 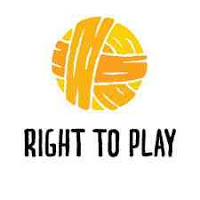 In Tanzania, Right To Play is legally registered under the NGO act of 2002 with certificate of registration number 12343 and certificate of compliance number 1501, reaching more than 113 pre-primary and primary schools in Dar Es Salaam, Morogoro and Mara. Right To Play implements its activities directly in 143 primary schools and in 62 primary schools indirectly in collaboration with the District Education Officials. Right To Play primary beneficiaries are children and youth in pre-primary, primary, lower secondary and in the community settings around the partner schools. Please Visit us at www.righttoplay.com for more information. Reporting to the Project Officer, The Finance has technical reporting lines to the Finance Manager. The incumbent is responsible for data entry, processing transactions in Accounts Payable, General Ledger and Accounts Receivable, reconciling Bank Accounts entries and official receipts booklet, compiling vendors’ tax files or payment and ensuring that all transactions and supporting documents are complete and properly filed. The candidate we are looking for deals with the Project Officer, Field Facilitators regarding business advances. He/she is expected to provide advice to implementing partners and stakeholders in this regard. Performs three-way match in comparing invoice with purchase order and goods received note before processing any payment. Ensures all documents are complete, with the appropriate supporting documents, reviewed and approved before processing for payment. Reviews transaction-supporting documents to ensure that all are complete and properly filed accordingly. Ensures that all payments are made on time. Follows up on the bank transactions to ensure all processed; files hard copies and generates reports. Posts all financial transactions into the RTP Daily Expenses Log (DEL). Produces monthly bank reconciliation statements and consolidates these in hard copy for review by the Finance Manager. Accounts for all petty cash expenditures. Provides administrative support to the project team in the project location. Collects and submits timesheets to the FO. Maintains the database for timesheets collected. Bachelor's degree in accounting, finance, business administration or related discipline. 3 years’ experience in accounting or directly related areas. Fluency in spoken and written English and Swahili language (s). If you are interested in applying for this position, please send your resume and cover letter to: TanzaniaHr@righttoplay.com and kindly include title you are applying to and your name in subject line. Please indicate your salary expectations in the cover letter.